I know that I've written a lot about Mike Fisher but this story just re-enforces what I feel about him. He's a caring, young man who has life in perspective. There's a video clip on the CTV site as well. Perhaps you can check out their site and find the link. It will move you to tears. Three-year-old Elgin Fraser ended his battle with cancer just hours after he watched his favourite team, the Ottawa Senators, win a place in the Stanley Cup finals. Propped up on a mattress in front of the television, Elgin closed his eyes and drifted away Saturday evening as his parents Hamish and Victoria Fraser held him tight. His aunts, uncles and grandparents were there to say goodbye and how much they would miss him. "He was okay with it and there was no fear in him. He was so calm to go," Victoria Fraser told CTV News. "He was a gift to us. 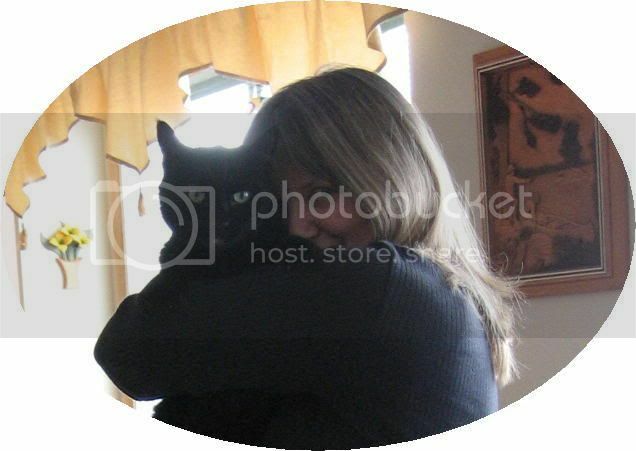 Yes, I'm sad that he's gone, but he was a gift and he wasn't ours to keep." 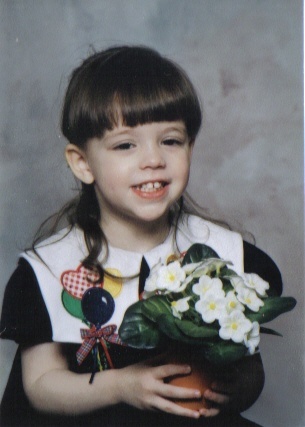 Elgin died of a rare form of childhood cancer that affects the nervous system called neuroblastoma. He was diagnosed with cancer at the age of nine months. His tiny body went through numerous radiation treatments, chemotherapy and a stem cell transplant, which pushed the disease into remission. After a year, however, the cancer returned in the form of a tumour in his torso that spread to his spinal cord. Thanks to mutual friends and supporters, the Fraser family was able to make some of Elgin's hockey dreams come true in his final few months. 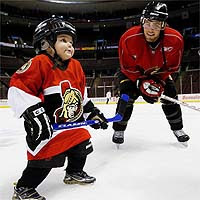 Elgin, perhaps the most dedicated Senators fan under the age of five, became a fast friend of the team. The Frasers were introduced to Sens defenceman Chris Phillips and were invited to a Senators practice in April, just days before the team's opening playoff round. On Elgin's third birthday, Phillips dropped by the Frasers' home to play hockey with him. The family was also able to attend every home playoff game through the generous donation of tickets from supporters. Elgin saw his final game on Wednesday night. Donning his customary Sens jersey and a sawed-off hockey stick, he watched the showdown with his family and later met with Sens centre Mike Fisher, goaltender Ray Emery and Phillips. Phillips promised Elgin they would win their final game and make it to the playoffs for him. His favourite player paid a visit to the Fraser home just two days before he died. Too sick to play hockey, Elgin and Sens centre Mike Fisher spent the day watching movies and playing with toy cars. After Fisher received news of Elgin's death, he phoned the Frasers to say the Sens players would do their best to win the Stanley Cup for Elgin. "He's just an awesome kid and he made a difference in my life," Fisher said. "I was thinking about him obviously through this series and through the week and we're trying to obviously win it for him." Hamish was grateful for everyone's kindness towards his son. "For him to go out that way, with everything he's experienced in the last little bit, we have no regrets and the way he did go out was just perfect," he said. Elgin's funeral will be held Thursday at 4 p.m. at the Carleton Place Arena. The family is asking for any donations to be made to the Ottawa Neuroblastoma Research Fund, Roger's House or the Ottawa Senators Foundation. You were right...it moved me to tears. What a story! This is a very moving story. I saw an article in the Gazette about this precious little guy. He was playing with Jason Spezza in one picture. In another he was in Spezzy's arms. I'm glad that the Sens where able to make this precious child of God happy. I pray that the parents will come to know the LORD through this. Thank you Sens for loving this sweet little boy and making him happy. GO SENS GO !! And God bless you! puts life in perspective - always! Oh David...I just got home and little pilgrim pal,Hebrews 11:1 told me to come right over. 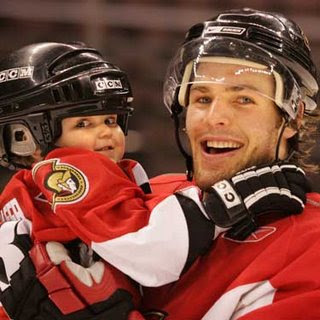 What a beautiful story and what a loving person that Mike Fisher is and how good of you to post this! I too am crying...but it's a good cry more than a sad cry. Sad that a precious little boy has lost his battle, but happy because he is in a much better place! I love hearing stories like this about atheletes who realize that there is more to life than winning a game. While I hope they go on to win the cup, they are already winners because of the dreams they made come true...I know God will bless them for that. Thanks for sharing that story David...I might not have heard about it if you hadn't!